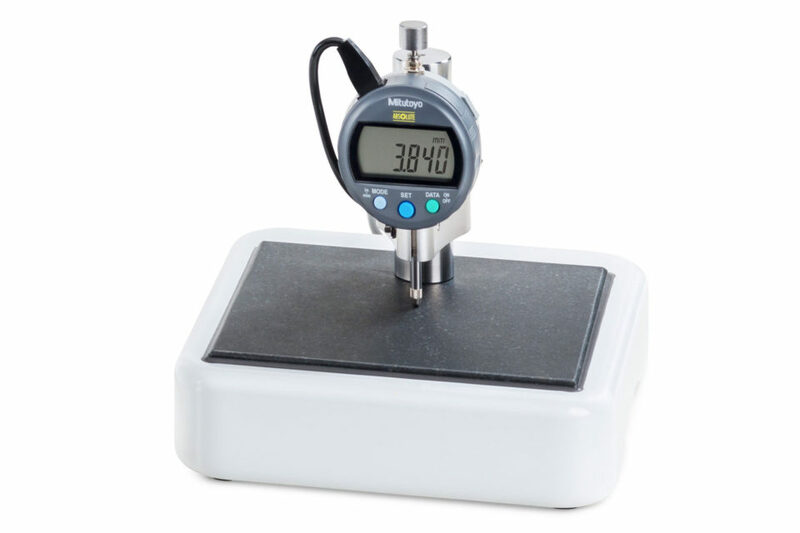 Some tablet shapes are very diffucult to position on the edge to measure the thickness within the hardness station. 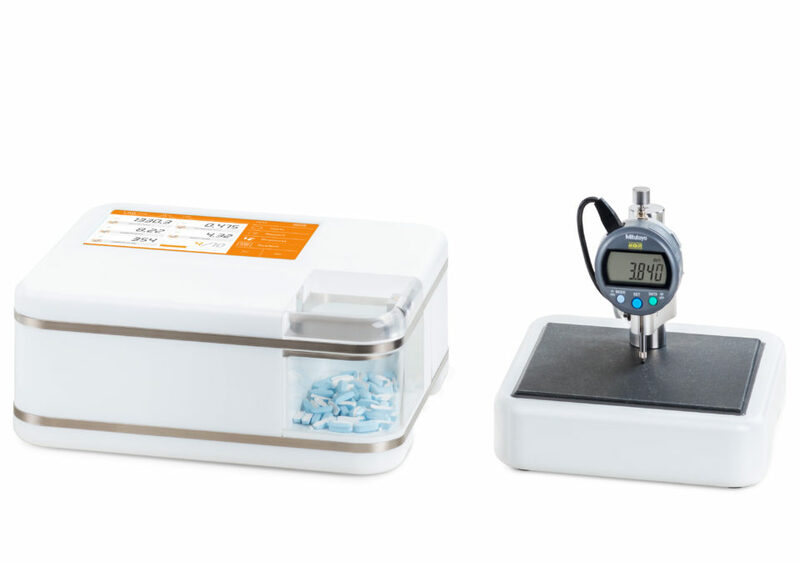 The external Mitutoyo thickness gauge makes it easier to measure the thickness of these difficult shaped tablets. Integrated Mitutoyo gauge with resolution 0.001mm.